I am so happy that we’ve been able to spend so much time outside these past couple of weeks. This past winter felt like it would never end. Rosebud loves being outside. She loves all the sights and sounds, going for walks and exploring nature. She loves pointing out birds, bugs, flowers and anything else she sees. I had a huge headache today, but after I got home from work, we spent some time outside and I noticed that my headache went away. I was able to just enjoy being outside and watching Rosebud play in the water table. Playing in water has to be her absolute favorite activity outside. She is a big fan of anything with water. She could be swimming in the pool, playing in the water table, jumping in a puddle or trying to take the hose while we water the plants. I’ve put a bunch of toys in the water table to keep her interested. 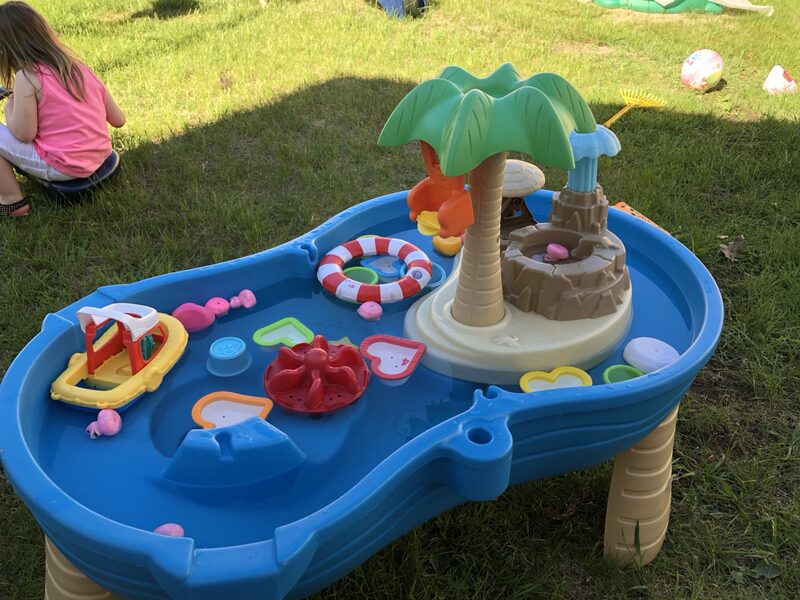 As it suddenly has gotten hot, splashing in the water table is a good way to cool off. There is a boat, different sized rubber ducks, round and heart shaped stacking cups and plastic fish. She loves to give the duckies rides on the parts of the water table that move. 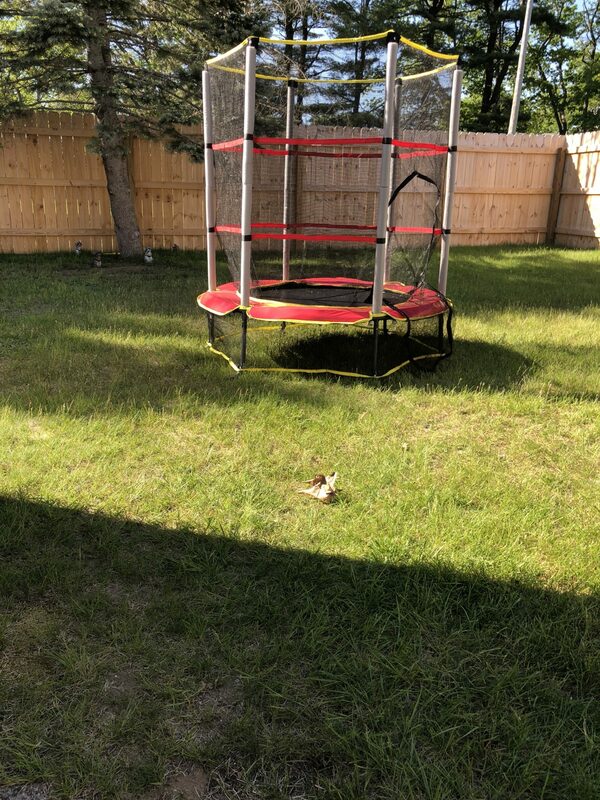 I’ve wanted to by Rosebud a climber for a while because we don’t have much for her to climb on, but since the good ones are expensive, I settled for a trampoline. She loves to jump and it’s good exercise. We’ve had this one set up for a few days and she loves it so far. She likes going in and out of the enclosure, but she likes jumping on it as well. The only down side is it doesn’t have a handle for her to hold while she jumps so it will take her longer to get the hang of it, but it should last her a couple of years. I love trampolines because they help the kids get their energy out. the one I originally bought is no longer available, but here is the closest I could find. Bubbles is another of Rosebud’s favorites. It’s especially fun for her on a windy day when she can chase the bubbles around the yard. 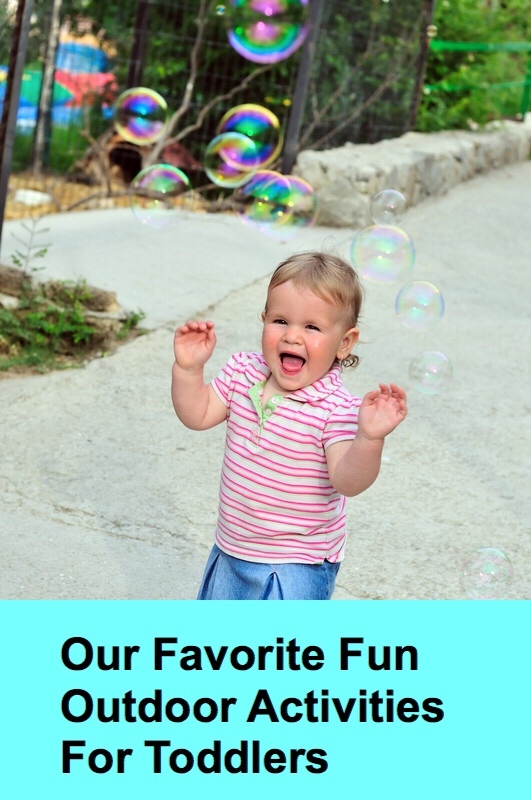 Bubbles are great because they are simple, inexpensive and entertaining for the little ones. Rosebud’s new obsession is soccer. Well, her version of soccer which is chasing the ball around and occasionally kicking it or just carrying the ball. 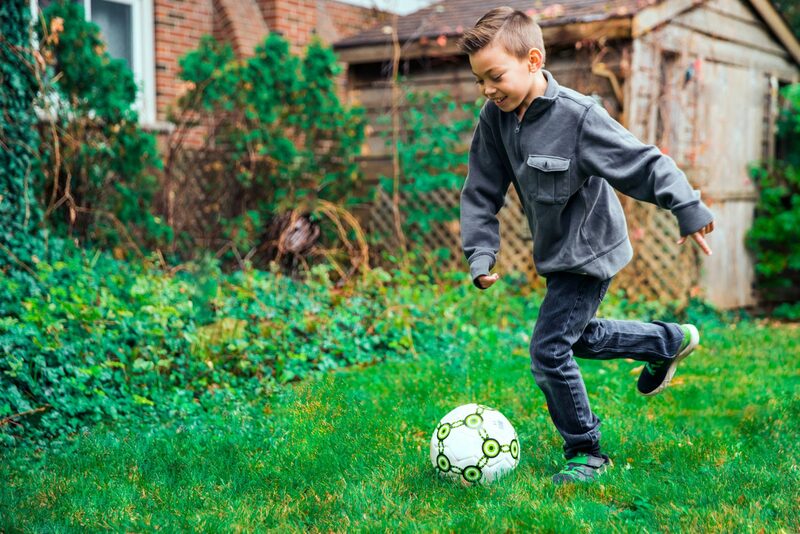 I got her a soccer ball because she got so excited whenever she’d see one in someone else’s yard or at the store. She loves any kind of ball though. She also has one of those hop along balls with the handle. She hasn’t mastered the skill of sitting on it and bouncing, but she enjoys kicking it and spinning it around. Lately she’s been interested in games with us. She’ll have us stand around and kick the ball back and forth. Yesterday she told me, “fetch” after she threw the ball. She uses her imagination and makes up games as we go along and of course she always wins. I wrote about sand play in this Post so I will only mention it briefly. I had to include it though because most of Rosebud’s time outside is spent playing in the sand. She’s the happiest when she is making a mess. She could be in the sand box dumping buckets of sand, putting sand in her wagon or sitting in the middle of a sand pile in the yard. Over the past few weeks, we have worked on making sand castles, looking for treasures in the sand and even writing letters and making shapes. We are looking forward to many more outside adventures this summer. 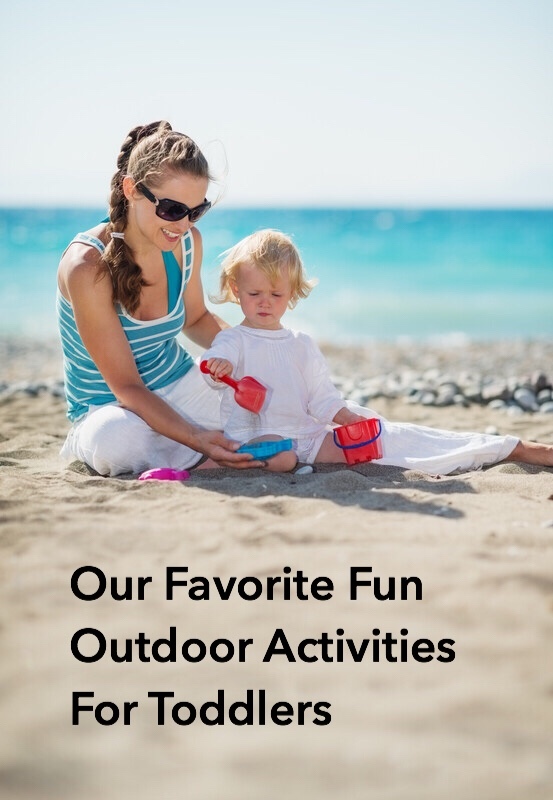 What are your favorite outdoor activities? Tell me in the comments.